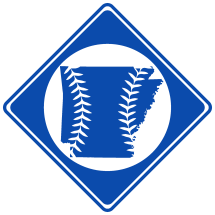 The Little Rock Travelers were a minor league baseball franchise based in Little Rock, AR from 1901-1909, 1915-1958, and 1960-1961. While the team played under the same name until becoming the Arkansas Travelers in 1963, there were in fact three distinct Little Rock Travelers franchises. The first operated from 1901 through 1909 before the team was sold to Chattanooga, TN (1). The second was created in 1915 after the purchase of the Montgomery, AL franchise and operated from 1915 through 1958 before the team was sold to Shreveport, LA. The third operated from 1960 through 1961 before the Southern Association folded. The same franchise was re-branded the Arkansas Travelers in 1963 when the team entered the International League and still operates today.